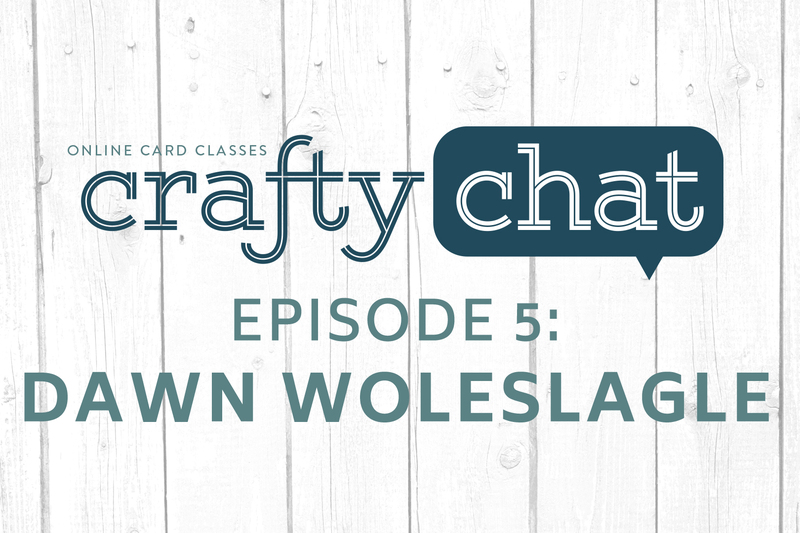 Whether you are a tutorial master or a complete newbie, our guest today – Dawn Woleslagle, owner of WPlus9 Design Studio – will give you tools and tips to make your crafty tutorials shine. An accomplished watercolor artist and graphic designer, Dawn has a way with words, and from her studio space to how her previous career impacts her teaching style – Dawn, in her signature style, makes the topic approachable and fun. I am hoping all of you recognizes the invaluable service you provide both to your followers, like myself, and to this industry. Your blogs and videos are what makes card making the success it is. It provides an opportunity for people to be creative in a manageable way, as well as share their “kindness” with others. I have been following Shari, Jennifer and Kristina for many years, and know both Lydia and Dawn for a shorter time. Thanks to all of you for the work you do. I have gained a much greater appreciation for the effort it takes to provide your videos and tutorials. A side note, for me, the length of a video is not important, it’s the content, and I watch them all. I just found this new feature and love it. It’s nice to see the crafters I follow (on blogs and you tube) “off the cuff.” It’s much easier to relate this way, and to be reassured that even very accomplished card makers have perfected their skills same way as we do: trial and error, practice and practice, sharing tips and information with others. Thank you for these visits!!! Oh my gosh! This is the best thing you’ve done! I loved all of your work before, but now have such a “real understanding” of the people you are. Thanks. Another great chat!!!! I so enjoy four such talented women interacting and using this new forum for teaching us about a specific topic PLUS the good, the bad and the ugly of entrepreneurship, creativity, and trying to find that elusive balance!!!!!! Thank-you SO much!!!! This is wonderful! I am a record, then edit then do the VO and tried to do the one off and I could not get it done. I do do some pre-planning though on the design and technique but just turn the camera on and see what happens after the sketch. You all are so inspiring. I love these crafty chats that you have been doing. I love listening to them and learn so much. Please keep doing them! So fun to learn about how each of you do your video process and how each one are so different. I have to say, I started making videos due to the inspiration and admiration I have for Kristina – then I was introduced to Jennifer…for 7 years now I’ve been inspired by both of you ladies! And, I have come to love Dawn as well!! I am not sure what island I would qualify for – but I actually film, edit and do my VO all in one day over the course of 3 to 4 hours – I don’t have children, so that probably helps :) Thank you for your daily inspiration ladies! Loved the chat. It’s my first time meeting Dawn. I must say she is a delightful crafty lady. I’ve purchased her product line several times and I didn’t know Dawn had a blog….which I will subscribe to as soon as I post my comment. Thank you ladies for tonight’s insight into the card making world. Jennifer, I do not know why you would hate your voice so much while we all enjoy listening to you but thank you for sharing that! I hate my voice on any kind of recording and I get the feeling that’s just normal. So thank you all for overcoming your doubts and letting us benefit from your knowledge instead. You are an inspiration for us. What amazing inspiration! Thank you from someone new to stamping and cardmaking. Loving these chats! I’ve followed Kristina and Jennifer forever and recently discovered Dawn, too. I would love it if you made these chats available as podcasts so I could listen while I work or walk! Thanks for sharing your talents!